Selling a vehicle at auction allows you to unload an unwanted car, truck, SUV or any other type of vehicle without losing any of its value and without the hassle of selling it yourself. An auction will bring dozens of interested buyers to your vehicle, if not more, and the entire process can be done in the span of an afternoon. 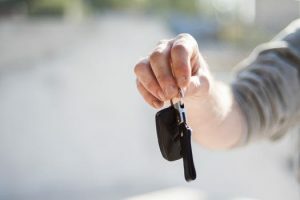 If you’re wondering how to sell a car at auction, here are a few of the tips you’ll need to know before putting your car up on the auction block. Set a reserve price. If you don’t set a reserve price, you run the risk of basically giving your car away for nothing. A reserve price is the lowest amount of money you will accept for your car, so research the market value of your vehicle. Be reasonable, but don’t accept any less than what you believe the car is worth. Choose between a live auction and an Internet auction. Live auctions where people bid on the car in person might be a better option if your car is in questionable condition, as many scrap dealers frequent them. Internet auctions can attract bidders from outside your home area, but bidders on the Internet often are looking for a car they can count on being in good condition. Be honest about your car. If you’re selling through an Internet auction, you should document the car’s condition thoroughly, taking lots of pictures including one of the odometer. Trying to hide damage or dodge questions about the condition of the car will make most bidders suspicious and hesitant to buy from you. People buying cars at auction generally understand that these vehicles will not be in showroom condition, so there’s no reason to hide the truth. Choosing to sell your car at auction can be a real time-saver for you, and it can ensure that you get the most value from your old vehicle. A car that’s not in the greatest shape might not be taken as a trade-in, and you might run into difficulty finding someone in the classified ads willing to take it off your hands. Selling at auction, however, makes it far more likely you’ll find someone willing to buy your vehicle. Why Should You Sell Your Car At Capital Auto Auction? Since 1989, Capital Auto Auction has sold thousands of vehicles, and we draw big crowds of interested buyers to our weekly auctions in Washington, D.C., Philadelphia, New Hampshire and Maryland. When you sell your car through Capital Auto Auction, you know your car or other vehicle will be in the hands of people who know the auction process inside and out, giving you the best possible chance for selling your car at the best value you can get. Contact us today and find out how we can help you begin the auctioning process for your car or other type of vehicle.